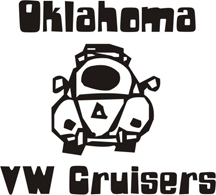 Oklahoma Vw Cruisers • Title 42 and notary. I am one and do them now too, also can help with saving $$ on title transfers etc..
Re: Title 42 and notary. What is the cheapest way to register my rabbit. I have a title but it hasn't been registered in a while. You sure you have to? do the vin check first, if it hasnt been registered in a long time the tag agency cant do it. Mail it to OTC at the capital. takes 2 weeks. they cannot do it any faster, they search microfiche. if it has a registration, then title 42, if not, do what i said in the link. i can text you the title number or vin if we need to. ??? It doesnt matter what the title says, it matches the vin on the car? then your good. Every day you wait, $1.00 penalty. vdubjim wrote: ??? It doesnt matter what the title says, it matches the vin on the car? then your good. Its NOT notarized yet. Thats what your for !! !